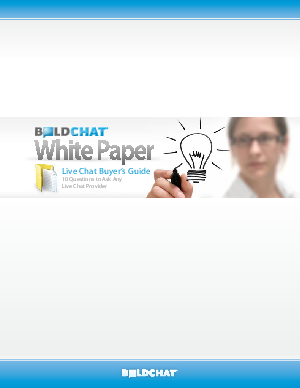 > LogMeIn > Live Chat Buyer's Guide: 10 Questions to Ask! Live chat implementation can simultaneously help your business cut support costs and boost online conversions. If you've started investigating solutions then you also know there are a confusing number of choices available. This helpful guide features the responses to ten key questions that will help you identify the right product for your business.